Have you found yourself considering an in-person floral education experience? If so, that’s great! We believe that continual learning and growing is key to a joyful, empowered life with flowers and personal connections and relationships are where the true magic happens. Behind your excited anticipation for the journey you’re about to embark on, there may be some confusion or uncertainty. There are a lot of different floral education experiences available to you—from one-on-ones and conferences to workshops and internships. You may be wondering what is the best fit for you. To help you as you think through the different formats available, I’m breaking down two potential choices, workshops and conferences, and sharing some tips to help you discover the best fit for you at this moment in your flower journey. Though there are many wonderful options available within our industry, I am writing more specifically about the Team Flower workshops and conference, as that’s where I’m most familiar. 1.) Evaluate your wants and needs in light of where you are in your floral journey. Are you looking to transition into a design career within the floral industry but aren’t sure where to begin? The Team Flower Workshop is great first step to take! 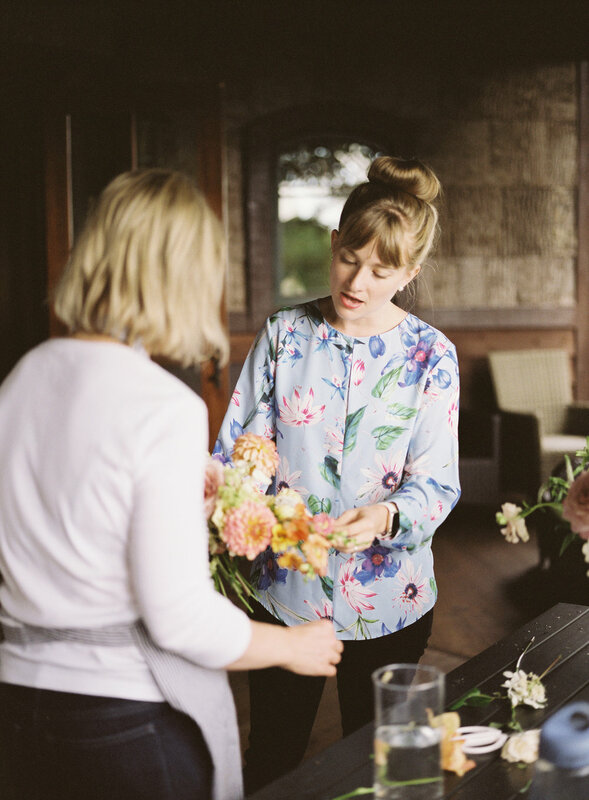 Many of our past attendees have successfully transitioned into a floral career after their workshop experience. Our workshops provide in-depth and focused time for hands-on design practice with flowers. Techniques are discussed, mechanics are demonstrated, and personalized feedback and assistance is provided throughout. There is also time dedicated to covering important business topics for event florists, such as proposals and pricing. Are you a business owner (or budding entrepreneur?) who’s looking for actionable business education and advice from industry leaders? While there are some hands-on experiences available at the Team Flower Conference, the educational content is primarily delivered through impactful stage-presentations, demonstrations, and honest small-group discussion. Sessions cover a variety of diverse and relevant topics in design, growing, and business, while small-group conversations have covered everything from work-life balance for flower parents to small-scale flower farming. 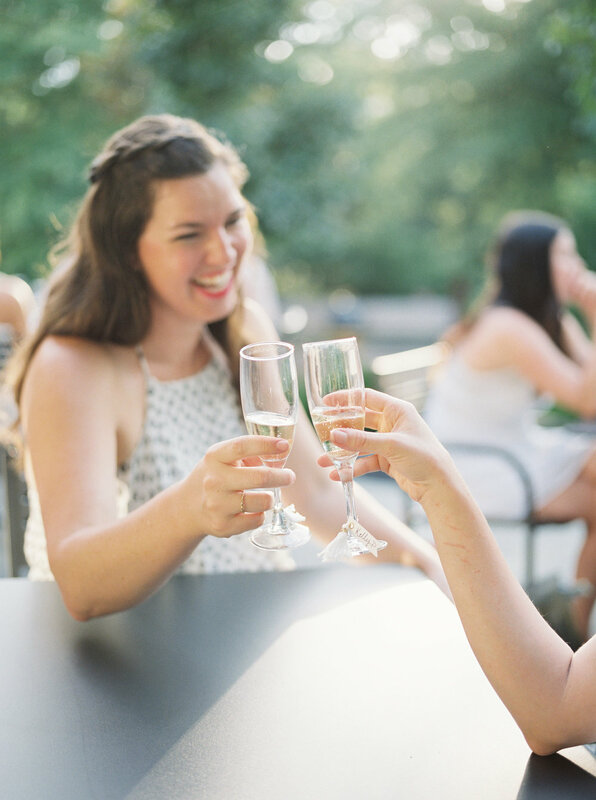 Are you looking to make new connections and build friendships within the floral industry? If so, both workshops and conferences could be a great fit for you! We understand that floral work can be isolating and lonely at times, especially if you work from home or are in an area without a strong and connected vendor community. This is why Team Flower has developed both our workshops and conferences to allow community and connection to flourish. The Conference is a uniquely open-hearted and encouraging atmosphere. There’s nothing like being in a room with 200+ floral professionals from all walks of life and stages of business! 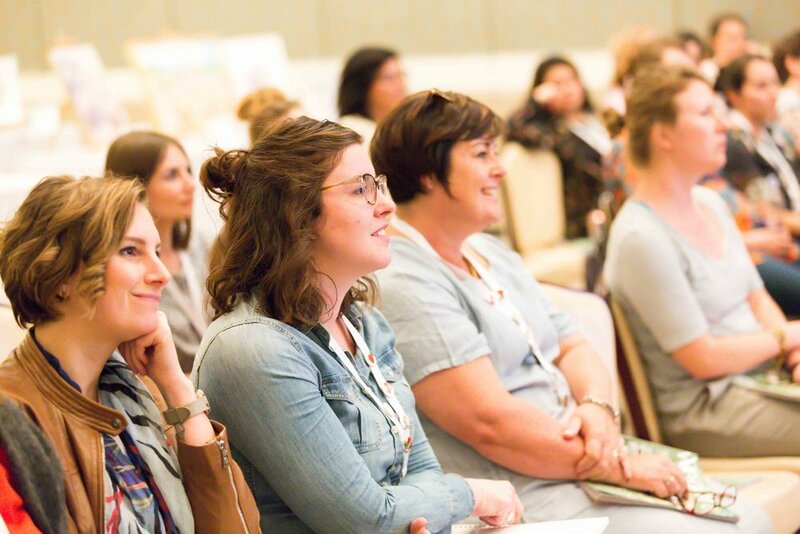 “The energy surrounding the people at the conference is infectious and contagious and you won't be disappointed with the knowledge, education, and love that is spread throughout the three days.” — Evelyn Streeter of Eve Floral Co. The workshops are a great way to make lasting connections within a smaller group of peers. In a relaxed and intimate setting limited to 10 attendees, you’ll have the opportunity to develop new flower friendships and walk away with a tight-knit community. Are you a member of the floral industry but not a designer? At the Conference, a shared love of flowers unites professionals from across the industry—farmers, wholesalers, hard-good suppliers, botanical artists, shop owners, freelancers, and so many more! If you love flowers, you’re invited! Are you looking for a creative outlet or a chance to be surrounded by beautiful blooms? At a workshop, attendees are greeted by a selection of beautiful, carefully sourced blooms and are free to design to their heart’s content throughout the week. Kelly takes care to craft an open and free environment where attendees are invited to take creative risks and explore new techniques, mechanics, and color combinations in their designs. Are you seeking rest or rejuvenation along your floral journey? 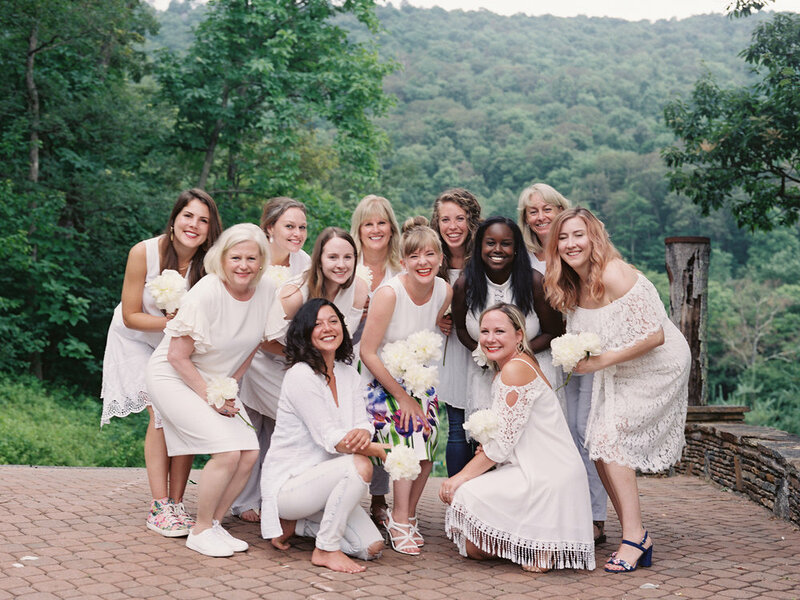 Both the workshops and the annual conference that Team Flower offers provide moments of inspiration and rest and are designed to promote creativity, learning, and renewed vision. The Team Flower Conference is a dedicated time away to focus on your business while learning from a wide variety of passionate professionals. The daily schedule is optimized to be both content-dense and comfortable, leaving time to connect, reflect, and rest. The inspirational presentations from industry leaders and the connections made amongst passionate peers can help you gain fresh perspective to take back into your work with flowers. Team Flower workshops operate at a slower pace than the conference, offering a calm and creative respite from the hustle and bustle of our busy lives and businesses. The curriculum was created to allow you to dive deeper into design techniques and to tackle any roadblocks you may have experienced before. You’re sure to find fresh inspiration along the way! 2.) Consider your finances and the amount you’d like to invest in professional development for the year. Any type of in-person educational experience is a significant, worthwhile investment in yourself and your future in florals, so it’s important to consider the costs when making a decision as to which format is right for you. Workshops tend to be more expensive than conferences, due to the wide variety of flowers and tools provided in these hands-on, small-group settings. They’re also slightly longer and usually include both lodging and meals. It’s likely that both conferences and workshops will require travel, so be sure to factor in these costs when making your decision. Lastly, don’t forget: Whether your floral education investment is in the form of a workshop or a conference, educational expenses can be a tax write-off for your business if your business is in the U.S. 3.) Take inventory of your heart. What are you truly craving to develop in your business and yourself? Confidence? Inspiration? Reignited creativity? Direction? We believe that our work with flowers matters and that its impact on the world is deeper than surface level. Our own wants and needs are often deeper than surface level, too. Take time to evaluate the whys behind your initial thoughts toward pursuing in-person floral education, and take note of what you discover. Let that guide your decision as you move forward with this next step in your floral journey. As you consider your options for floral education, we are here to help! There’s no wrong way to advance in your journey with flowers—just keep moving forward one step at a time! Still unsure what your next best step might be? You can reach out to us with your thoughts or questions anytime by using the red chat button at the bottom of the site. We’re always happy to help! Hear from real-life Team Flower members who have attended both a workshop and a conference! “The floral workshops challenged my design skills and allowed me to try new things mechanically. The workshops are so valuable for those all along their floral journey, whether just starting out or for those seasoned florists who are stuck in a design rut. Not only do these workshops encourage each participant to design in a way that is inspiring to them, but they also give a fresh and rejuvenating approach to your own design process. The workshops are a retreat and a time to rest and reset with flowers. I would suggest the workshop to florists all along their design journey. Meagan is the Marketing & Conference Coordinator at Team Flower, the owner of Meadow House Floral Design, and co-founder of Ember Floral Co. She is a Kentucky native living in New York City with her husband, golden doodle, and kitten. In a city known for its hustle and bustle, she loves sharing flowers as a way to inspire pause, reflection, and celebration. Team Flower Member since October 2016.